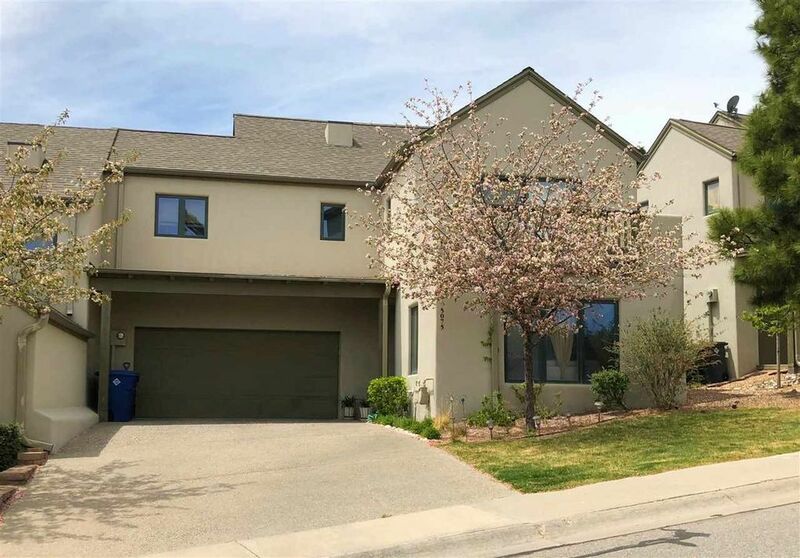 Beautiful end-unit townhouse located the desired Carriagehouse at Quemazon community. First level offers a formal living or dining room, powder room and beautiful kitchen. The kitchen has stainless appliances, gas range and a wet bar. Open to the kitchen is a family room and access to the small, manageable yard. The yard is perfect for small gatherings and for relaxing outdoors. Upstairs youâ€™ll find four bedrooms, two full bathrooms and the laundry area. The master suite includes access to an outdoor balcony where youâ€™ll enjoy the beautiful surrounds that Quemazon offers. Home is heated by radiant in-floor on the main level and hot water baseboards on the second level. This is a great home. Schedule a showing today.